Your local Jim’s Pest Control technician has over 30 years of commercial and domestic pest control experience, including pest inspection services. 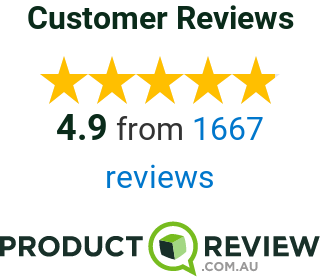 As an Albury Wodonga local, Rob is well qualified to sort out any pest problems you might have. And, as a Jim’s franchisee, he is a local small business owner, backed by the power of a National brand. What do you get with a Jim’s pest inspection report? You will be provided with a detailed comprehensive pest inspection report utilising the latest technology such as infrared cameras, wall cavity cameras and motion censoring equipment. Our technician understands the demands of all clients and will provide services outside of his trading hours. Rob’s certification is to ensure your business meets all local council and health department requirements. A pre-work risk assessment will be completed over the phone. A further risk assessment will be conducted on site. Risks assessed include pets, children, plants and neighbours. Spiders, ants, cockroaches and rodents are prevalent all year round. However, their prevalence may change drastically throughout the year. Summers are often hot, whereby pests such as spiders, ants, wasps and other insects are most prevalent during this time. European wasps become extremely hazardous throughout the hotter months. If you encounter a wasp nest, do not attempt to treat it yourself. Spiders, ants, cockroaches and rodents are found all year-round. In Autumn, pests such as insects will slowly reduce in numbers due to decreasing temperatures. During this time, rodents may become more prevalent, as they seek warmer areas to live. You may expect to experience all general pests during this season, however less so than in Summer. Spiders, ants, cockroaches and rodents are found nearly all year round. Winter in Albury can be extreme and pests are drawn indoors for many reasons. Rodents such as mice, rats and possums are extremely active during this time. Rodents can be responsible for the spread of disease and contaminations, and thus are ideally treated quickly. Rodents are further known to cause house fires, as they chew through cabling within roofs and wall cavities. During spring, flowers and plants begin to bloom and as temperatures begin increasing so does the number of pests, particularly spiders, wasps and bees. This is an optimal time to have your house sprayed so that it is ready for Summer. You will also notice an increase in ant activity along with earwigs as October draws closer.